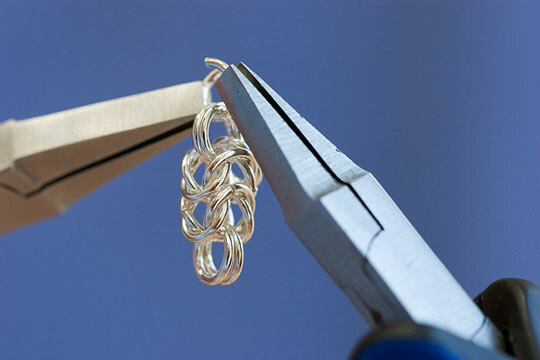 Twisted silver craft wire is suspended between two pairs of jewelry pliers. The craft wire and pliers are photographed on a dark blue background. Used for both costume jewelry as well as to work with precious gems, jewelry tools such as pliers allow the jeweler to manipulate small pieces that would be difficult to manipulate by hand.